Last spring, Strong Towns spent a week in the Iron Range region of northern Minnesota, sharing our message with residents and leaders through presentations, conversations and walking tours. Our goal was to help this economically challenged rural area think about new ways to kickstart growth and prosperity through small-scale investments and local projects, rather than relying on a handful of big companies to provide jobs and financial security. 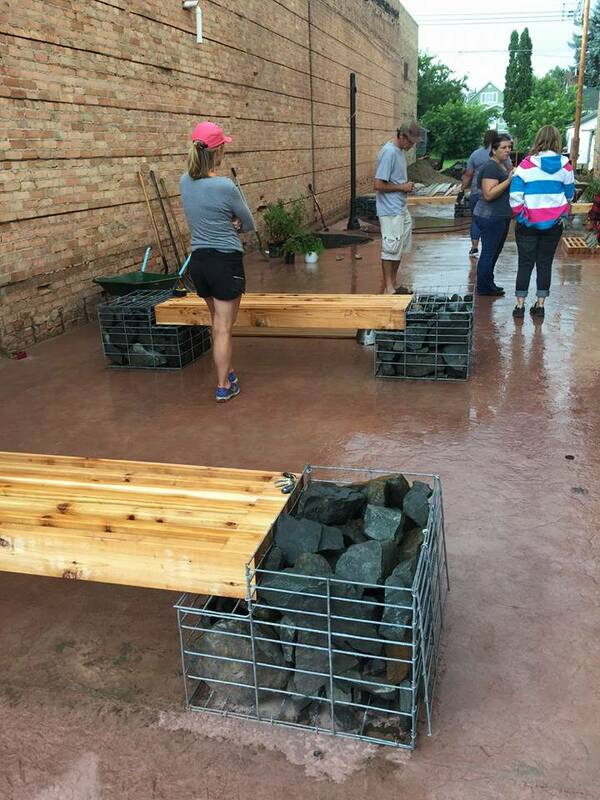 One outcome we were pleased to learn about recently is a new placemaking initiative sponsored by the Minnesota Department of Iron Range Resources and Rehabilitation (IRRR). IRRR offered small-scale grants (all under $50,000) to fund six projects in the Iron Range that would enhance downtowns and draw more activity into the public realm. 2017 projects funded through this program include small downtown improvements like adding solar sidewalk lighting, repainting storefronts, and installing bike trail signage—all of which create a more inviting atmosphere in central business districts throughout the Range. Whitney Ridlon, Community Development Representative for IRRR, remarked that this placemaking grant program was “rooted in Strong Towns’ visit” as well as other regional conversations about development that recognize a healthy downtown as a catalyst for economic success throughout a community. The most visible success story thus far has been a new pocket park in the town of Chisholm (see photos above, courtesy of the Chisholm Downtown Revitalization Project). Some grant applications for this placemaking program were submitted by local chambers of commerce and others by municipal governments, but all were rooted in community desire and effort. That was by design. While past IRRR grant applications have been ranked based on alignment with strategic plans, this one gave highest marks to projects that could prove solid community support and high visibility in each town. Community buy-in was especially crucial to making these projects successful, since each was required to have a 50% funding match for their grant. However, unlike other grant processes, this one allowed volunteer hours and in-kind donations of things like paint or wood to go toward the match amount. Many of these projects are still in progress and we’re excited to see how they take shape. IRRR is also gearing up to offer another round of grant funding for 2018 projects, with applications released in November. Learn more about it here. Want to help us inspire more communities to take bottom-up, incremental action to grow stronger? Become a member of Strong Towns today! A neighborhood is an ecosystem, a quirky human habitat, and when it’s been damaged by generations of neglect, it probably needs help that has nothing to do with repairing roofs and bringing wiring up to code.